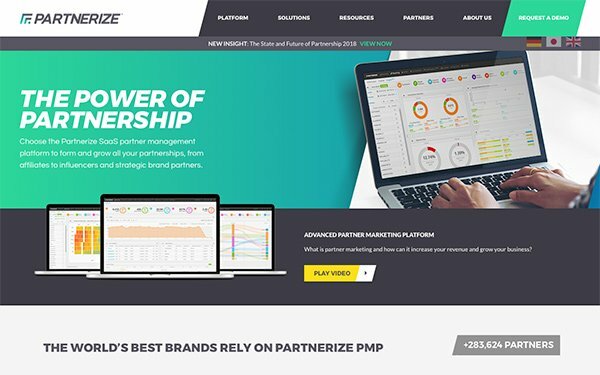 Performance Horizon rebranded to Partnerize on Tuesday in an effort to evolve with industry changes. Partnerships now dominate today’s marketing strategies, so the company chose a name that reflects its business model to support brands in making connections with others. Partnerize CEO Malcolm Cowley told Search Marketing Daily that about 300,000 companies are connected to the platform for the sole reason of finding other businesses to work with. The company’s central repository aims to connect companies globally. The new name — Partnerize — came from a venture capitalist. “We knew it had to be one word, which doesn’t leave a ton of options,” he said. Eventually a venture capitalist working with Partnerize, Cowley said, “had a brainwave and we all jumped” on the name -- adding that venture capitalists really do add value. Rebranding the company will cost between $500,000 and $600,000 to communicate the broader vision of the business model, said James Nichols, CMO at Partnerize. The financial commitment will remain relatively low because the company has an internal design team that redesigns logos as well as the look of the website and other collateral material. Initially the message that will appear in search, display and other channels will focus the message on “making it easy to form partnerships of all kinds,” Nichols said. The display ads will run across programmatic networks. The search ads will run on Bing and Google's search engines. The company plans initially to spend about $400,000 on advertising to promote the new company name. Other investments will follow as the company determines what works and what doesn’t. The ads should run for between three and four months, Nichols said. Partnerships like the ones that built Salesforce into a powerhouse during its early years have become a staple in marketing and advertising industries. Mark Benioff, Salesforce founder, built the business by connecting niche companies across sales, customer service, marketing, analytics and more. Partnerize also launched about 25 new feature upgrades for the platform, along with research. The study surveyed 1,200 brands on how the partnership space has evolved in terms of both perception and the role it plays in companies’ revenue mix. The study suggests that partnerships drive more dollars than previously estimated. Some 56% of brand marketers said the performance partnerships channel drives more than 20% of total company sales, and 24% said it drives more than 3%.